Of course after just one game the league table does mean a lot, but it does at least make for some nice reading for FC Anyang fans. Saturdays first game features Suwon City FC and Bucheon 1995. Suwon City looked poor as they were easily beaten by FC Anyang 3-0 last weekend. Bucheon 1995 performed much better pulling off an impressive 2-1 win over Daegu. This well be a close game and with Suwon looking to bounce back and playing at home we see this ending in a draw. Saturdays second 2pm game is between Goyang Hi hosting Gyeongnam. Goyang Hi won last weekend on the road by a single goal over Chungju Hummel. 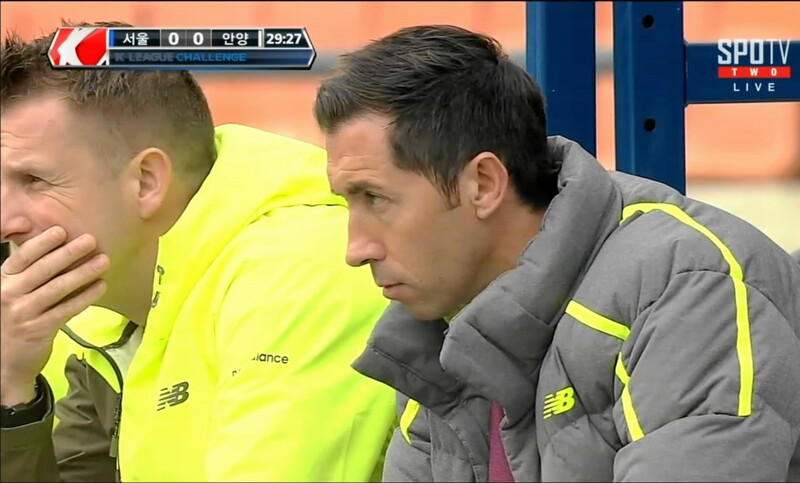 Gyeongnam played out a pretty dull 0-0 against Ansan Police. 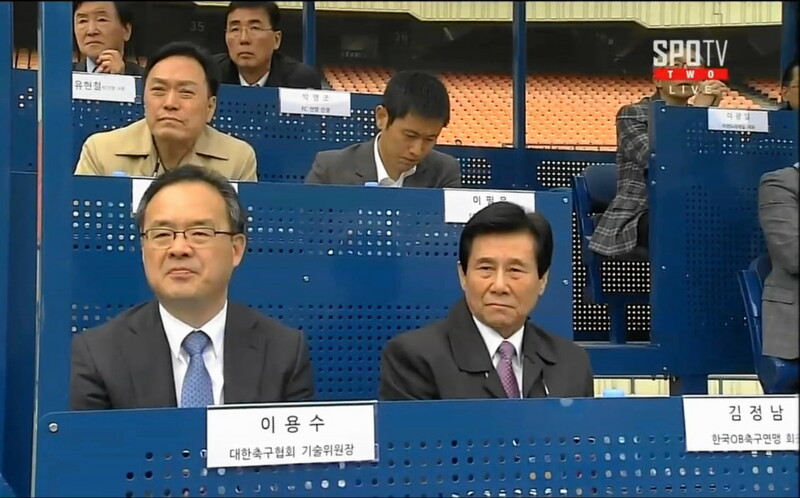 Goyang lack home surrport and Gyeongnam are a high level of opposition than Chungju. Therefore we see Gyeongnam taking home all 3 points. Sundays lunch time game (first we seen in Korea in many many years) is between new side Seoul E-Land FC hosting FC Anyang. Seoul E-Land FC will become Seoul’s second professional team and have created an impressive looking squad for this level. 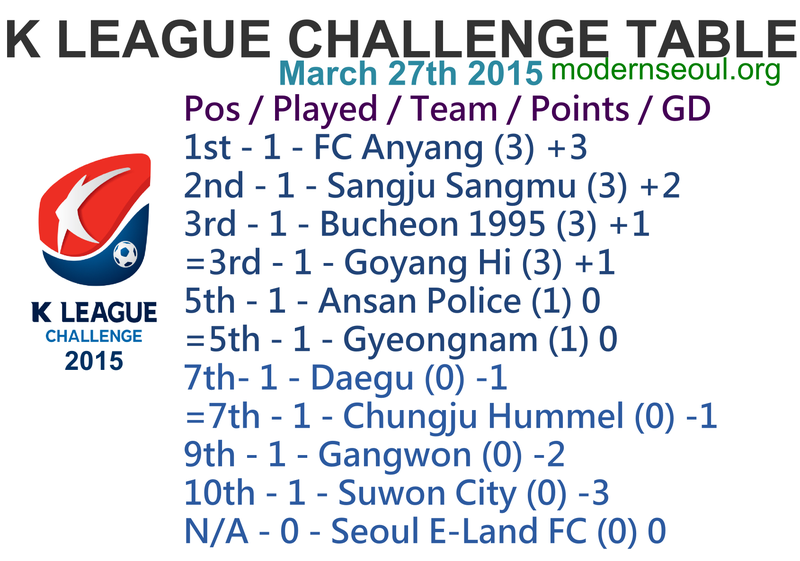 FC Anyang are currently top of the league after beating Suwon last weekend 3-0. This should be an interesting game, but in the end an even one and therefore a draw seems most likely. Saturdays mid-afternoon game sees two former K League Classic sides clash as Daegu host Gangwon. Daegu suffered a disappointing defeat on the road last weekend against Bucheon 2-1. Gangwon also lost last weekend on the road as they were beaten 3-1 by Sangju Sangmu. This is a close game, however we see Gangwon having the edge on paper at least. Sundays late game features two sides who looked slow last weekend Ansan Police and Chungju Hummel. Ansan Police played out a dull goalless draw last weekend against Gyeongnam. 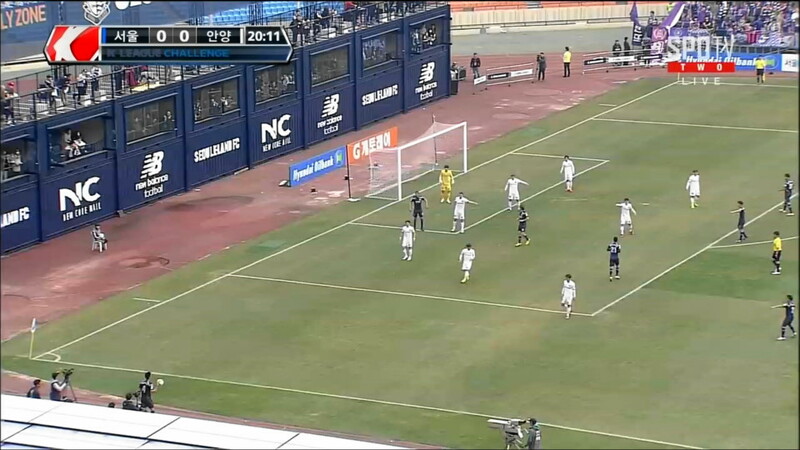 Chungju Hummel fared worse as they were beaten at home vs. Goyang Hi (1-0). Ansan Police at home will be favorites to win this one. Serbian forward Stojanović scored the only goal of the game for Gyeongnam in the final 10minutes, however it could and should have been out of sight for the visitors. The only good news for Goyang was that over 3000 turn up a club record, double their 2014 attendance high and about 1,000 more than 2013’s high. Brazil striker Japa scored 2 of Suwon City FC’s 3 goals in an entertaining back and forth game. The game was also the first back at the Suwon Civil Stadium after a year away. 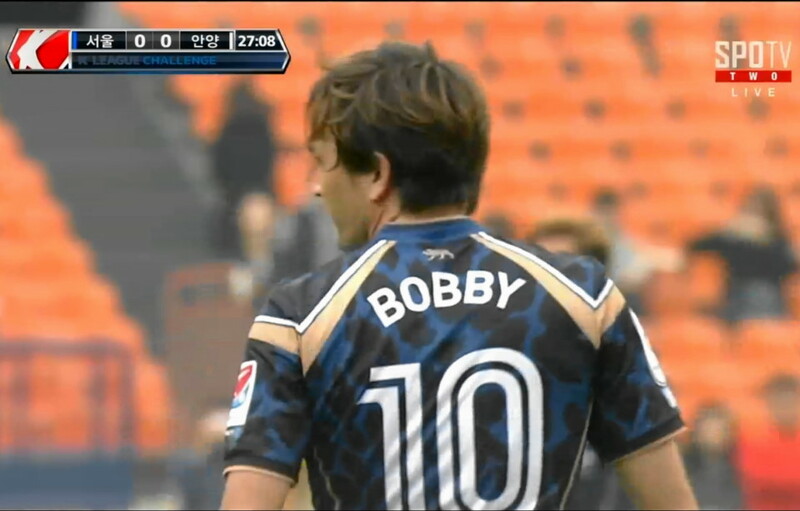 Rodrigo scored both of Bucheon’s goals as they look much improved even in defeat. 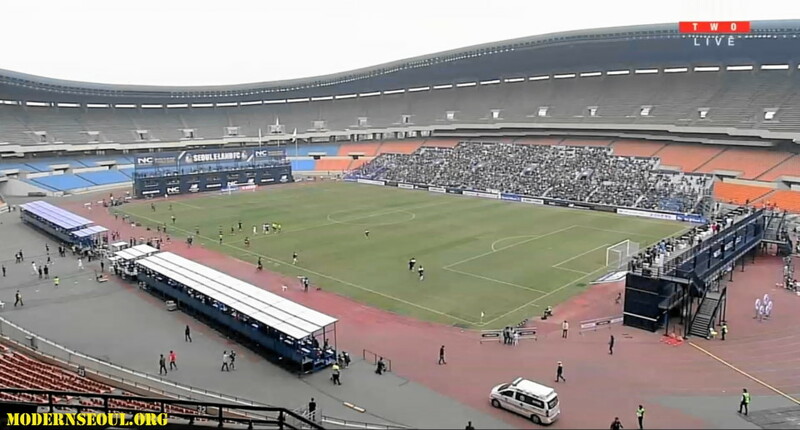 Seoul E-Land FC played their first ever K League game at the Seoul Olympic Stadium (or Leoul Park). It ended 1-1 with captain Kim Jae-Sung converting a penalty for the hosts, before Kim Son-Min equalized with a beautiful run and looping finish. 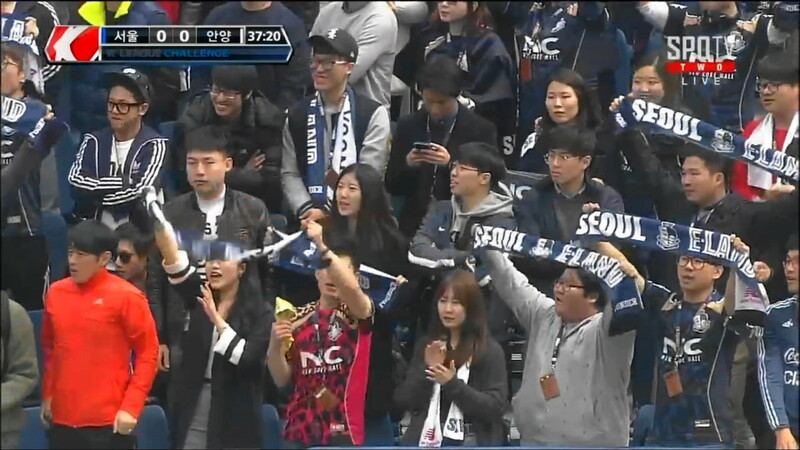 4,342 turned up for the opening game, containing the trend for all K League Challenge sides seeing largely improved attendances vs. 2014. Daegu won in a close game over Gangwon in a game attended by around 17,000 (almost as many as the whole of 2014!). All 3 goalscorers were Brazilian (although Eder holds UAE citizenship), Eder scored the winner late in the second half. Ansan Police beat Chungju Hummel in the days late game, with again a healthy attendance of around 10,000 (like Daegu almost equaling the whole of 2014). Seo Dong-Hyeong scored the only goal part way into the second half. 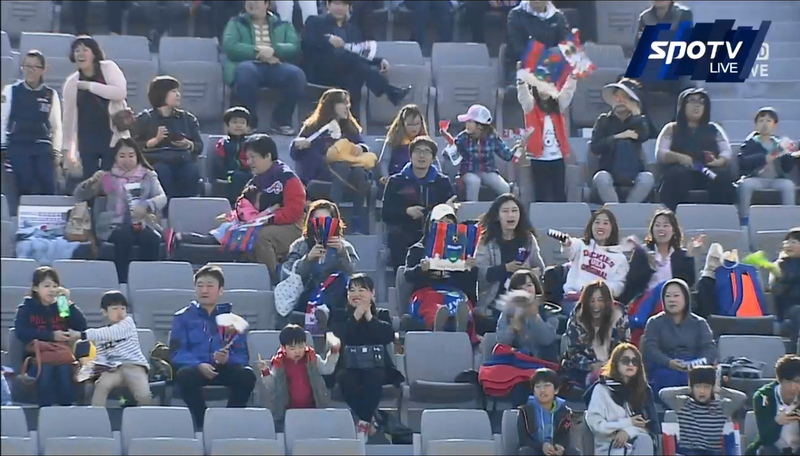 Suwon City FC fans enjoying their first win the of season. 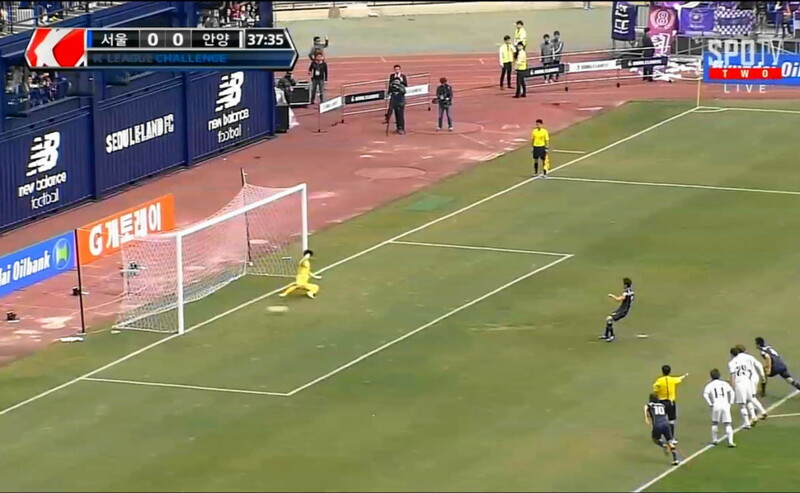 Seoul E-Land FC captain Jaesung scores the historic first ever goal. Three correct results from round 2’s games with 1 perfect score (same as round 1). Where’s the love for the KBO on this site? Opening day just happened! We do a few KBO related posts over the season but honestly we don’t know enough about it to do weekly posts, previews etc. But maybe in the future.